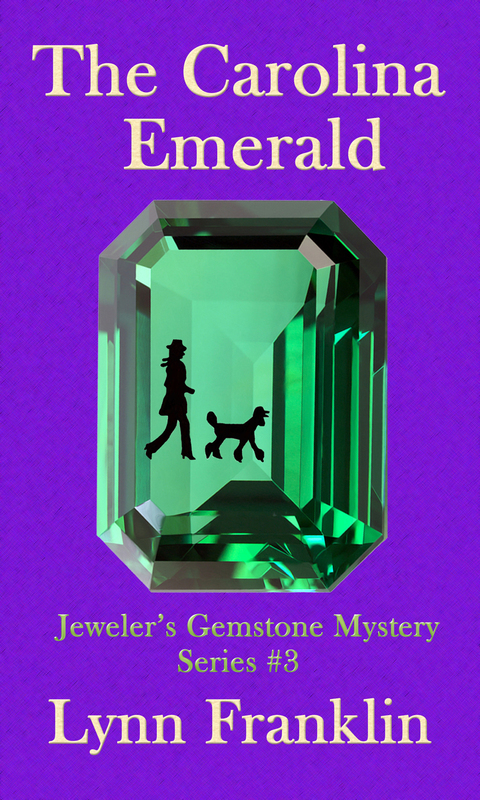 The Carolina Emerald is a finalist for the EPIC eBook award — and readers are helping me celebrate! 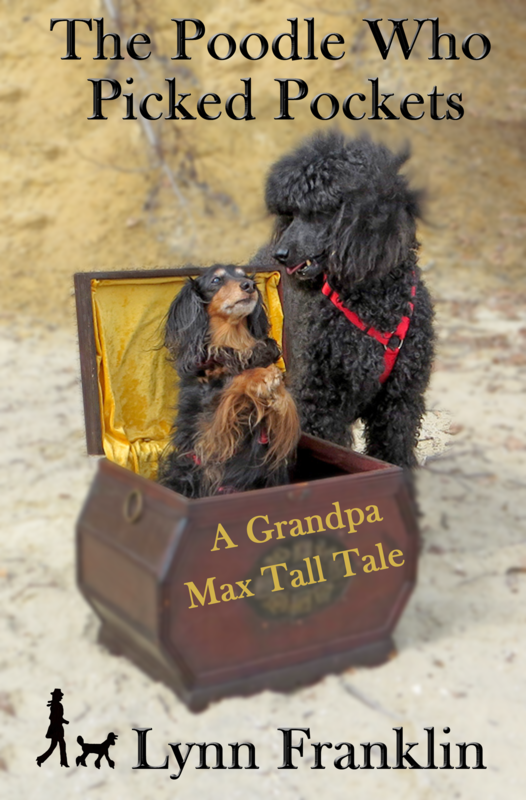 After The Carolina Emerald was named a finalist in the prestigious EPIC eBook awards, I asked readers to help me celebrate by treating themselves to something fun — and to send me a photo for my website. Here are some of the delightful photos I received. I loved hearing what you all like to do to relax! 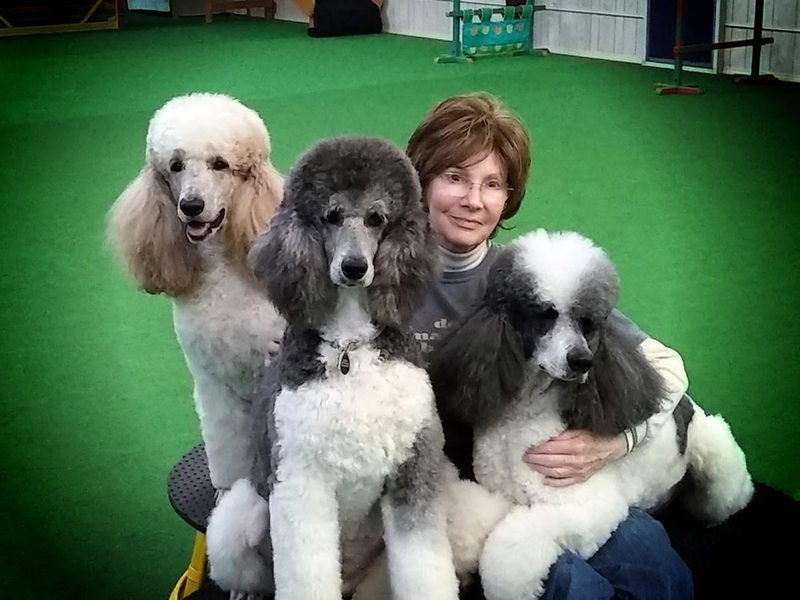 Charlene Dunlap took her gorgeous standard poodles for a walk, then settled in for a group snuggle. I wish they didn’t live so far away — I’d have loved to have joined them! Scotty, Leah, Charlene and Joey gather for a group snuggle. 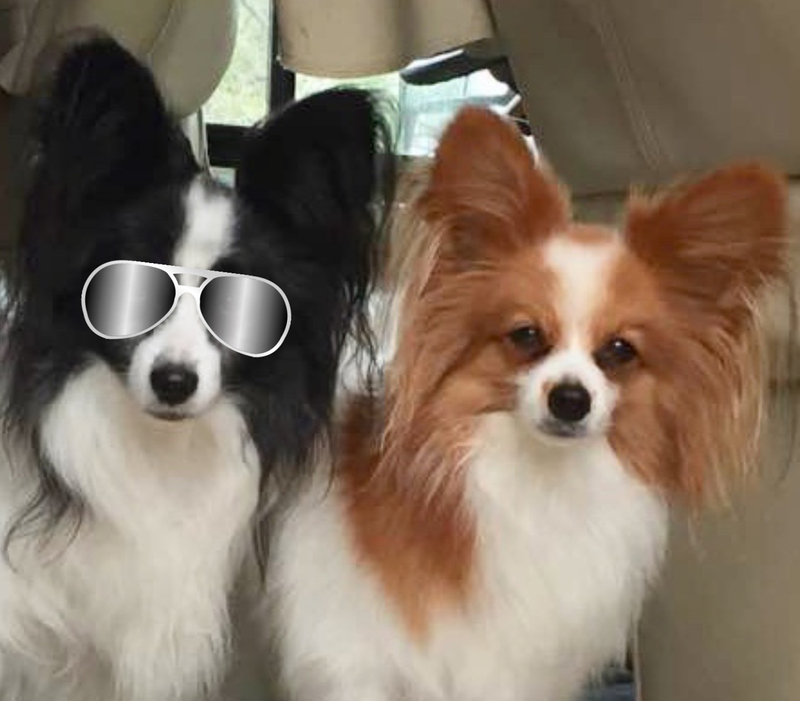 Carol Malec’s adorable Papillions, Jack and Val, have their own idea of what’s fun — going for car rides! Notice that Jack, who appeared in The Carolina Emerald, is now doomed to traveling incognito. Ah, the harsh life of a star. Ever since appearing in The Carolina Emerald, Jack the Papillon (left) dons a disguise before venturing into public. His brother Val isn’t impressed. Ginny Reinhart, the real-life model for Kimberley West’s Aunt Ginny, insisted on taking me to lunch to celebrate. 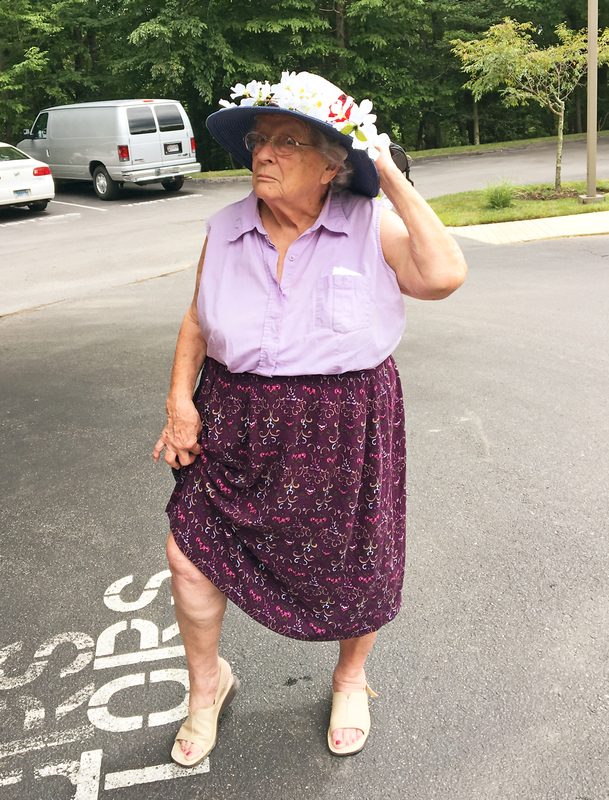 Before driving to the restaurant, she modeled the hat Aunt Ginny wore in The Carolina Emerald. Ginny Reinhart, the real “Aunt Ginny” models the hat worn in The Carolina Emerald. Thank you everyone who sent congratulations and/or photos. You are the reason I keep writing!